The Court of Appeals of New York has resolved a long simmering question facing out-of-state attorneys who are barred in New York but reside elsewhere. Can they appear as counsel of record in a New York case? 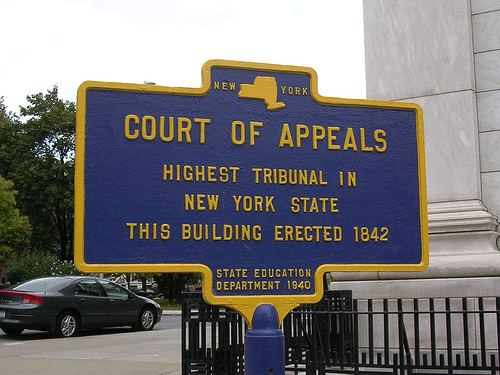 Interpreting Judiciary Law §470, the Court held that an out-of-state attorney must maintain an office for the purpose of transacting law business in New York to be eligible to practice within the state. The issue was presented on a certified question from the U.S. Court of Appeals for the Second Circuit, which will consider whether the statute violates the Privileges and Immunities Clause of Article IV, §2. So this may not be the final word. The case is Schoenefeld v. State of New York, No. 39, NYLJ 1202722163813, at *1 (Ct. of App., Decided March 31, 2015).